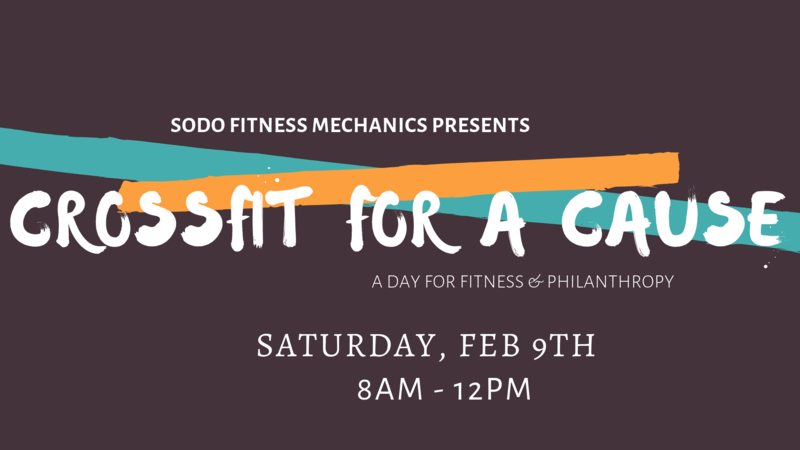 Join us Saturday, February 9th for our First Annual CrossFit for a Cause! Doors will open at 8 am and the first heat will start at 9 am. Please sign up for a heat HERE! Here’s the scoop – we’ll be doing our very own new benchmark workout (think Hero-WOD style), that can of course be scaled to anyone’s abilities. The workout has been written and will be released closer to the event, but we’ll tell you this much…..it’ll be fun, challenging, and you’ll be “giving back” throughout the workout 😉 So come early and stay late to cheer on your friends and get to know the wonderful folks of our community. Each year, we’ll select a different different group or organization to benefit from this event. For our first year, we’ve chosen to support the homeless community of SODO. We’ll also have the BodySpec truck here doing DXA Scans. This is a perfect opportunity to “find out what you’re made of” and start tracking your body composition. Progress is not always about the number on the scale, and these scans are a great way to learn about other relevant measurements when it comes to your overall health. Follow along with additional updates on the FACEBOOK EVENT PAGE. And feel free to share the event page with your friends in the greater CrossFit community – the more, the merrier! Our hope is that in the years to come, we can make this event even bigger so that we can have an even greater impact on helping our neighborhood!! Thank you for being a part of it!